Synonyms: Jounetsu no Yangu Man, Young Man's Passion, F.D.! 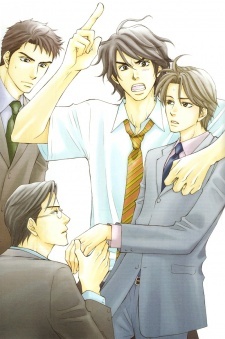 1-6) Ono slept with Yamada, a high-schooler, when he was drunk because of a break up with Hidenori. Ono thought of it as a one-night stand, but Yamada went to Ono’s workplace to look for him the next day. On top of that, Hidenori requested for reconcile. Who will Ono choose? Will it be the passionate love with a high-schooler or a steady relationship with his ex-lover? Shibata and Ookouchi are fire fighters in training, but the physically superior Ookouchi is making Shibata feel inferior. Sequel: Do As You Wish!